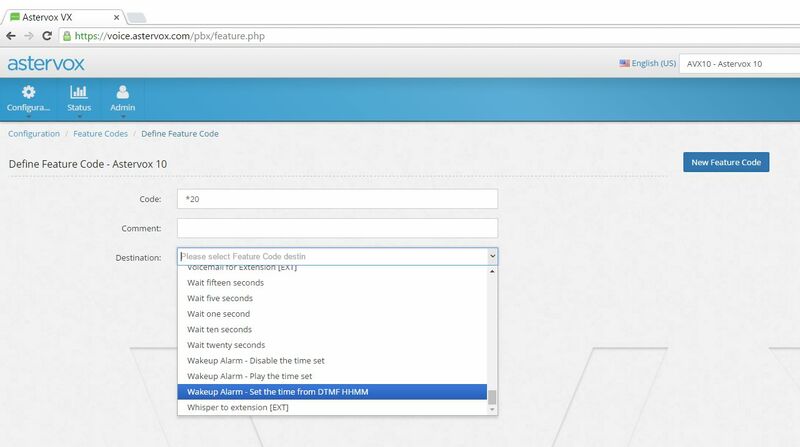 it very easy to add your own feature codes with Astervox VX, in this example we create a feature code *20 which will trigger the wake up call feature. last but not least we add a comment (description) to make it easier to differentiate from other feature codes. Save the feature code and now you can test it already. just dial *20 from any of your extensions.